Add a touch of glamour to your look with this gorgeous low coverage, wired style. Designed with delicate foil lace and layered fabrics, this soft padded style raises the bar when it comes to stylish inner wear. 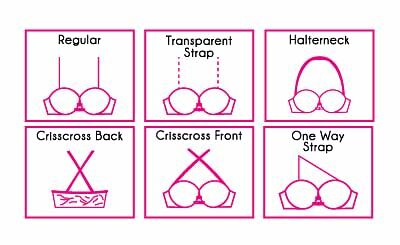 The convertible straps allow you to flaunt your style and wear it in multiple ways from halter to one shoulder or criss-cross.